You pay just £40 per child as a non-refundable booking fee to attend the shoot. if you like your images after the shoot you pay ONLY for the digital images you wish to order. 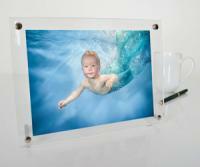 You have to order your digital images first before buying prints and other products. The reason for this is that Zac works long and hard on each individual image to make every one a hand-finished work of art. Prices for digital images vary depending on the shoot location. You can see the prices for your chosen session by clicking book your shoot and choosing a session. * Please note - 'Greater London prices' are higher than 'Out of London prices' due to increased costs. Prices for your digital images are shown on the book your shoot page after you select a shoot date and location, and additionally will be emailed to you before the shoot by both your swim school and Little Dolphin Images. after you have ordered your digital images you may wish to order from our range of prints and other products such as the Nirvana retouching or B/W conversions. See below for prices. These products are lovely optional extras which you can add to your personal image gallery when you check out. They are only available to customers who have bought their digital images first. Stunning modern borderless free standing 20mm thick magnetic perspex block mount - made in the UK. Includes exhibition quality print. 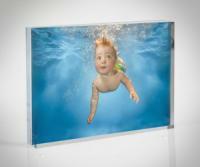 Beautiful modern free standing perspex 2, 3mm panels with chrome finish supports, made in the UK. Top Quality Canvas Prints, stretched around 40mm bars and finished with hangers. Postage costs £10 - 25 depending on size. Aluminium composite of two ultra thin panels sandwiched around a polyethylene core. Lightweight and rigid, it will not delaminate or warp and finished with a subframe ready for hanging. We supply all the images in two sizes or versions to be as useful to as many people as possible. 1) Large - Jpeg files (a compressed file) - 14.8 MB when closed for storage but expands to approx 50 MB at 300 dpi (when opened), the image quality is good enough for the biggest enlargements you can imagine. 2) Small - Jpeg files (a compressed file) - 2.5 MB when closed for storage but expands to a handy 8 MB (when opened) at 300 dpi for your 8"x12" print enlargements & emails to family and friends. 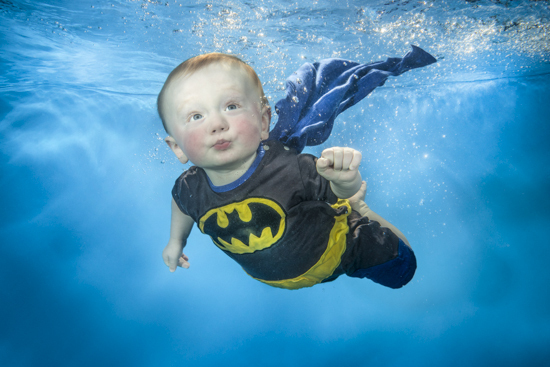 We are generally the same price or less than any high street portrait photographer (who is not shooting underwater). I do keep a constant check on this at regular intervals. We are also about half price of one of the main swim schools in the country. How do I pay for my images? You pay for your images online by credit or debit card after creating your personal digital image gallery using our shopping cart style gallery online. It really is super simple. 1. After the shoot you log in to view your digital images, using your email address and the password you made up when booking your shoot. 2. Add your favourite digital images to your personal image gallery. 3.You order your digital images first, then you are welcome to buy from the other products afterwards, e.g. 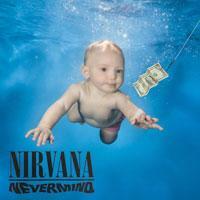 prints, Nirvana image and BW conversions. 4. Checkout and look forward to seeing your digital images! From the date you place your order we produce & send you your images within three weeks. We encourage you to order within 30 days after the shoot. We have to archive the images after that time (to make space on our drives). After 30 days it will take a further 30 days on top of the normal 3 week turnaround time to send you the images you have ordered. You will receive your images straight to your desktop, via email through WeTransfer (included in the price) or if you prefer by DVD in the post (£14.00 extra for the DVD option). The images will be delivered by WeTransfer or DVD within 3 weeks of ordering. Please see the how to download page. 1) An email before the shoot containing useful information about the shoot. 2) An email reminder saying your images are ready to view. 3) An email with a link to the images themselves. Please note: We make every effort to provide all our customers with emailed confirmation of an order. However, there are many internet security solutions in operation that may prevent you receiving confirmation. Your email providers spamming tools may also consign the email to your spam folder. To be sure of receiving the emails, please ensure you add our email address info@littledolphinimages.com to your contacts and if possible your email account whitelist. No commercial use of these images is permitted please. To order prints you must first add images to your personal image gallery - see prices above left. Borders - All hand prints come with a small white border as standard ( about 3-4 mm ) to avoid finger marks on the print surface. If you do not want the borders please specify on the image notes relating to that image. Image Area - Most images will fit all of the print sizes below. Occasionally an important part of an image will stray too close to the edge of the image area of the print you choose or even important parts of an image will be cropped off. In this case I will contact you before hand before proceeding with your order to see if you want 'all image on' and printed in proportion. This is all part of the 'hand printing' process.